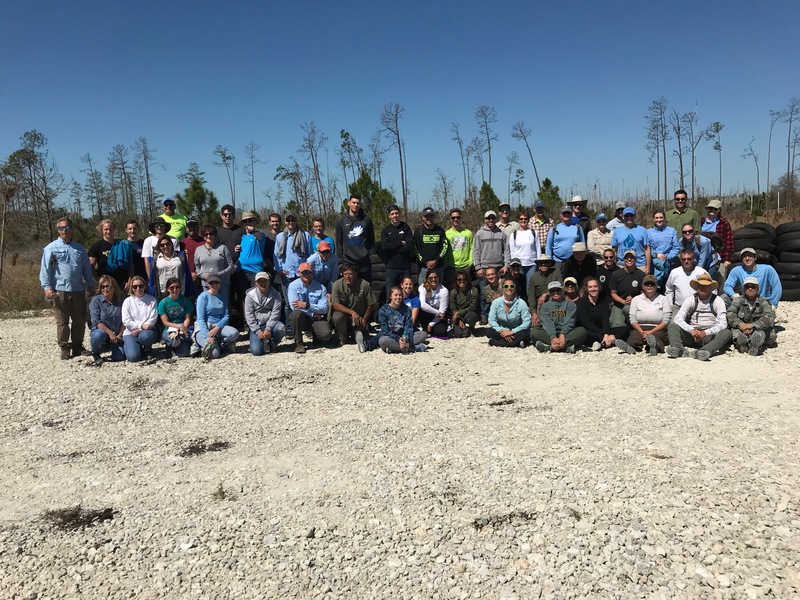 As the South Florida Water Management nears completion of the Southern Critical CREW Restoration Project, the CREW Trust, in partnership with Florida Fish and Wildlife Conservation Commission and the South Florida Water Management District held the second clean-up of this year at Flint Pen Strand. 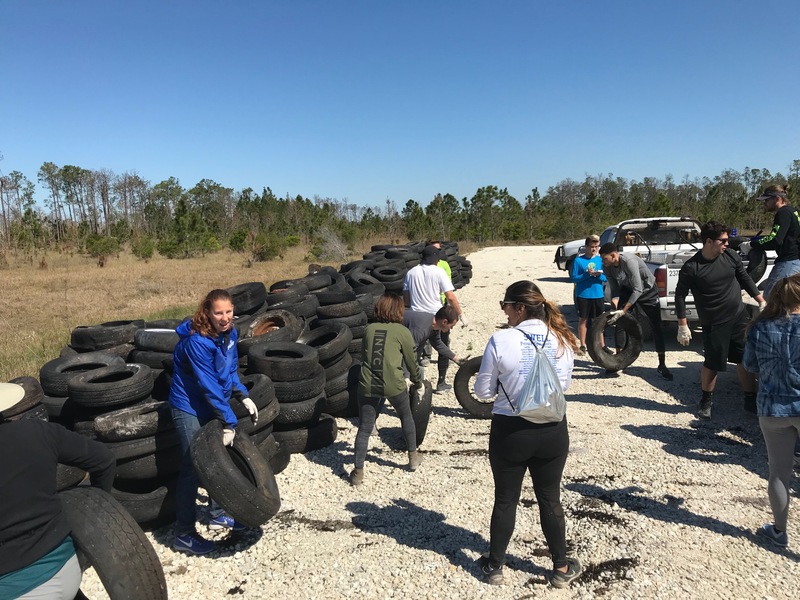 CREW Trust staff, FWC biologists and SFWMD staff were joined by FGCU students, CREW Trust volunteers, volunteers from Passarella & Associates Inc. and community volunteers on Thursday, March 22, 2018. During the four-hour clean-up, volunteers worked to collect garbage including discarded carpet, tile, toilets and more to fill a 30-yard dumpster. They also worked to remove 650 tires which had been dumped through the years in the vacant lands. Special thanks to Keep Lee County Beautiful for providing work gloves and trash bags and thank you to Lee County Solid Waste for donating the cost of removing all of the tires. CREW Trust volunteers worked earlier this year to create a 1.5-mile loop as the first trail in Flint Pen Strand. The parking lot and trail system will open in 2018 and more information will be released as the opening gets closer. Follow CREW Land & Water Trust for updates on the Flint Pen Strand Trails and opening plans. 2 Responses to "Volunteers remove tires, carpet and more from Flint Pen Strand"
Thank you for the cleanup and trail work in Flint Pen Strand! I would like to help if you have another trail day. Great! We usually have one or two clean-ups each year. Follow us on Facebook for announcements.